Let's Celebrate with an Amazon Gift Card Giveaway! Happy Wednesday! I'm getting ready to meet up with some sweet friends of mine for coffee. It's so important to make time for friends even when you don't have time. It feels like I barely have time to breathe sometimes but I force myself to say yes to coffee every once in a while. It's always good to catch up, talk to another adult (because us SAHMs know what it's like to talk in baby talk for days on end) and have some girl time. Also, who can say no to some coffee on a cold fall morning? Friends can keep us from going crazy during this busy life. They make us stop and connect even if we want to stay at home in our sweats and clean with the music blaring. Relationships are important and honoring those relationships and friends are just as important. So, today, I'm announcing a GIVEAWAY in honor of my blogging friend from Amidst the Chaos! 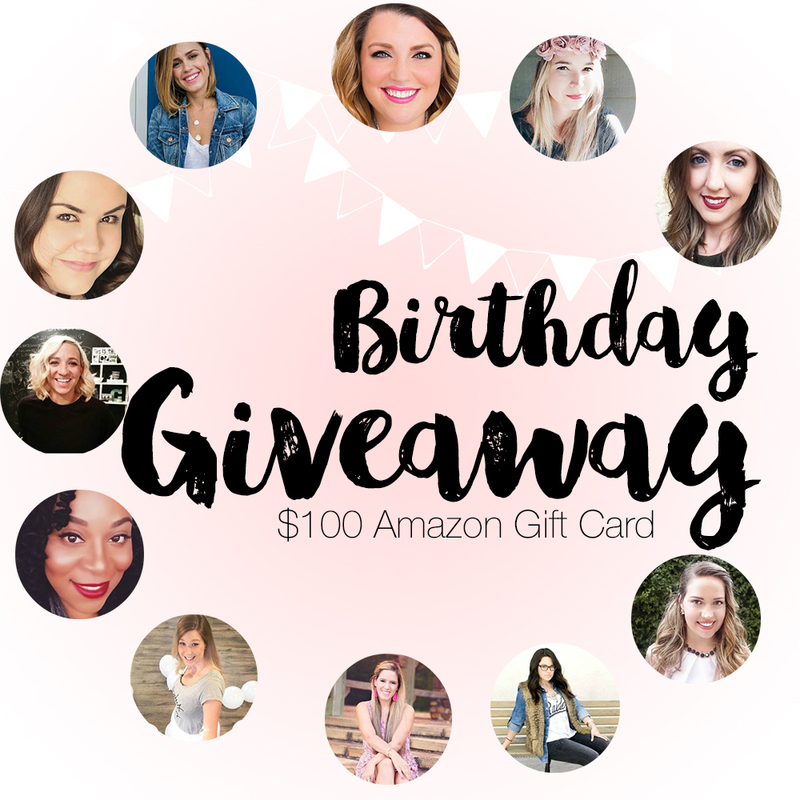 I've teamed up with other gorgeous blogger babes to celebrate Christine's birthday which is in three days! See I told you they are gorgeous! Here’s how to enter: click through each of the items below and follow each item (ie follow on Instagram, sign up for emails, like on Facebook). Once you have done the 11 items, you will be entered! So enter below and start connecting with some amazing bloggers! This giveaway comes just in time for Christmas shopping. I definitely could use an Amazon gift card. There are so many things that I'd buy!